Hello December. No spinning! Forgive me spinning wheel(s) for I have neglected you this month (again! ), but I promise that you and I will be reacquainted after the festive period, if not before. 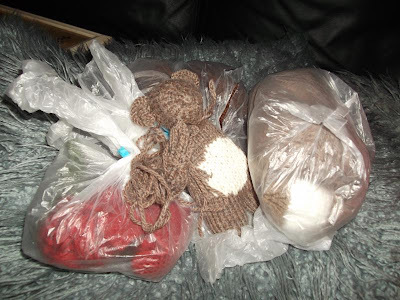 In light of there being no spinning this month, I will share what I have been doing with wool this month. I have been doing a lot of felting - items for ourselves, gifts for others and a few additions to my etsy shop. 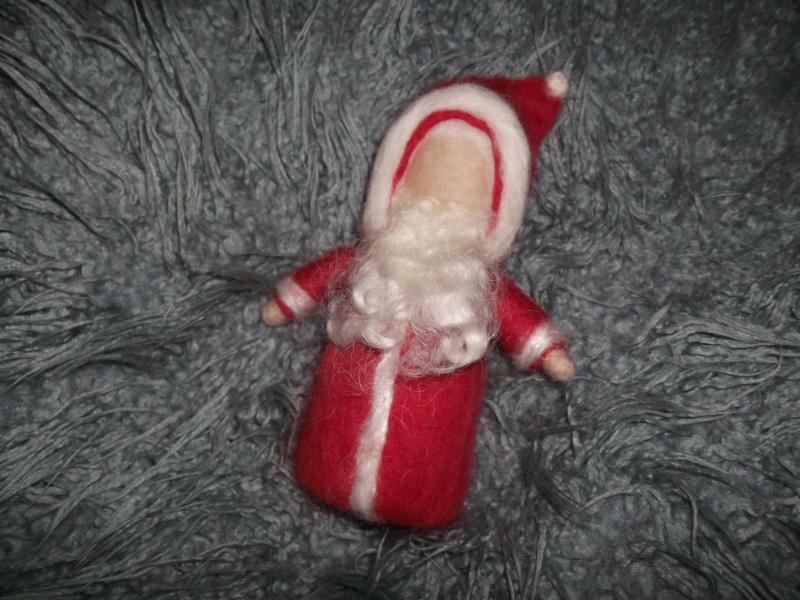 I made this Father Christmas for our home, I think his hat is a little over-sized but we like him, I made another for the shop but with a better sized hat. I have another of these in the making with legs this time but he has no beard or hat yet! in need of a hat and beard! In other felting I have made an item for a gift swap amongst a few friends, I'm pretty sure the recipient doesn't browse this blog so I will share a couple of pictures here. It's a felt journal using a lovely art sketchbook as the book being covered. I had lots of fun with this and plan to make more soon. 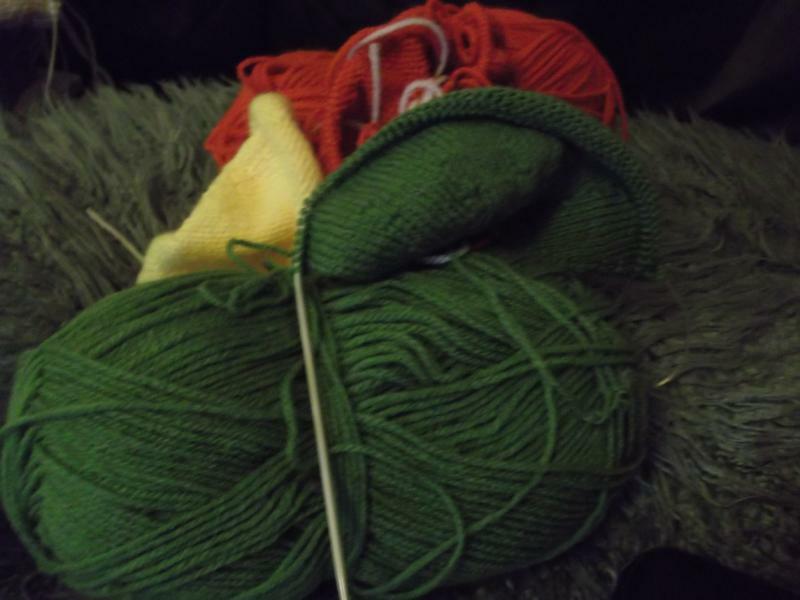 Moving onto knitting, there are (as always) more than one project on the go. Some started long ago and really left for too long, now I need to get on with them as they are gifts for Christmas. (note to self: stop getting distracted by other projects!). Another project for another member of the family, although no doubt my daughter will acquire these one day, and yes you've guessed I'm not saying what this is either! Please no guesses as the recipient may read the blog and comments ;-). There is still the handspun handknit socks for the husband (he knows about these! ), it really is time to turn those heels. Hoping these will be finished soon. And another one, although not a Christmas gift, but a winter hat/scarf combo for my daughter and as it is getting colder now I really should get on and finish this ... nearly there. There are other things I've so nearly started recently, only to shout STOP at myself, not until the other things are finished. I've still to finish some felting gifts too and there isn't long left until Christmas. Am I the only one who can't stick to one thing at a time? Are you disciplined at finishing items? If so, how do you do it? Merry Christmas to all, or seasons blessings if you celebrate the season or Yule rather than Christmas. I've enjoyed this space this year and look forward to sharing it with you all in 2012!